George Friedrich Bernhard Riemann was born on 17th September 1826, in the village of Breselenz near Dannenberg, Germany. His father Friedrich Bernhard Riemann was a pastor and his mother was Charlotte Ebell who died when he was just a child. Riemann was under confident as a child with a fear of public speaking and had many nervous breakdown attacks. On the other hand he was a gifted mathematic genius with exceptional calculation aptitude. He was married to Elise Koch in 1862 and they had one daughter. In 1840 Bernhard Riemann went to middle school for which he had to live with his grandmother in Hanover (now Germany). Inspired by his father he often read the Bible but his interest in mathematics took over all other activities. He used to solve extremely complex math problems surprising even his teachers. He took philology and theology in order to become a priest but when he was sent to well-known University of Göttingen by his father his focus turned to Mathematics. His teacher was Carl Friedrich Gauss who encouraged him to talk to his parents and switch to a degree in Mathematics rather than theology. Once getting their approval, Riemann transferred to the University of Berlin in 1847 and remained there for the next two years. Riemann was pure genius and his phenomenal contributions to the Mathematical world are a proof of his creativity and depth of knowledge. Despite his ailing health he was one of the greatest mathematicians of all time. He had an extraordinary command over complex analysis which he interconnected with topology and number theory. Other revolutionary contributions include the tensor analysis, theory of functions, differential geometry and the most notable being the theory of manifolds. His work in geometry defined new probabilities by generalizing the notions of distance and curvature. Many theorems are named after him for example the Reimann-Roch theorem. He pursued general actuality proofs, rather than constructive proofs that actually produce the objects. He said that this method led to theoretical clarity, making it easy for the mathematician and avoided getting confused with too much detail. He was an outstanding and genuine mathematician. Even many principles of modern physics rely on Reimann’s notions of the geometry of space. The base of Einstein’s Theory of Relativity was set up in 1854 when Riemann gave his first lectures. 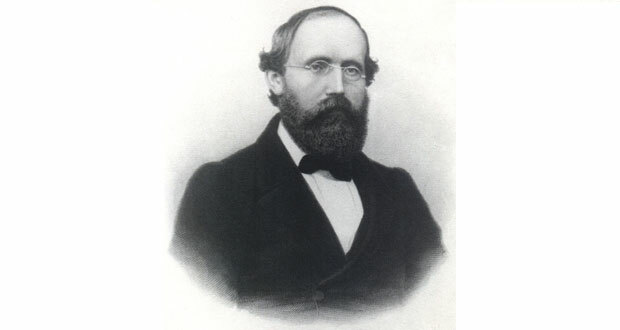 Riemann became a lecturer on the recommendation of his teacher Gauss at the University of Göttingen. Seeing the brilliance of Reimann, efforts were made in order to promote him to a position of an extraordinary Professor. This, however, could not be done and he was paid like any other professor in the University of Göttingen. He was later made the Head of Mathematics Department. It is said that Riemann caught a cold which worsened to become tuberculosis. Although he made several efforts in order to get better but all in vain. He spent the final days of his life in Italy in the village of Selasca with his wife and daughter. Riemann died on 20th July 1866.